Historical England and Wales – The Great Canadian Travel Co. Explore the historic heart of England and Wales on this self-drive tour which features visits to Bath, Stratford-upon-Avon, Llangollen, Nottingham and Cambridge. Our self-drives are fully customizable so you decide the route you travel and we will arrange the vehicle rental and accommodation. We don’t care how many scenic detours you take getting from A to B, as long as you’re to your pre-booked accommodation each evening! Prices are shown as starting prices in US$, per person based on two people sharing a twin room and one person in a single room. Triple occupancy rates and child rates may also be available, depending on the accommodation. The US$ rates are approximate based on the conversion from British pounds at time of posting. CA$ prices are also available on request. Actual tour prices will be quoted at the time of booking and will supersede those shown. We have used a sub-compact, automatic transmission vehicle for our starting at prices shown above. Other car categories are available offering larger vehicles including SUV, van or luxury Mercedes. Upgrade vehicle choices include Compact: Intermediate; Van (7 seater); SUV (5 seater); Mercedes C or E Class. All vehicles come with automatic transmission. If you’d prefer a vehicle with a manual transmission we can provide you with a revised price. Collect your vehicle rental on arrival at Heathrow or Gatwick airport or from one of the city locations. The Heathrow location is open 5:00am-midnight daily; Gatwick from 6:00am-midnight daily. Load up your GPS (you can bring your own or rent one from the car rental desk), then set off for the drive to the Bath area, where you will spend 2 nights. 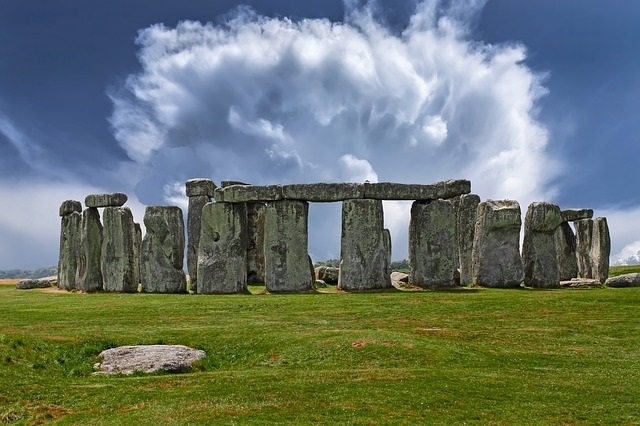 On your way, if you wish you can visit the legendary, Neolithic monument of Stonehenge or the standing stones at Avebury, Europe’s largest Neolithic stone circle. Bath and the stunning countryside surrounding it is one of England’s most beautiful places to visit. Bath is a unique city; its hot springs, Roman Baths, impressive Abbey and Georgian stone crescents have attracted visitors for centuries. Set in rolling countryside, just over 100 miles west of London, it is a beautiful and unforgettable place to visit. Spend today exploring the city of Bath. Designated by UNESCO as a World Heritage Site, Bath is home to some of the finest architectural sights in Europe such as the Royal Crescent, the Circus and Pulteney Bridge alongside an extensive collection of museums and attractions. 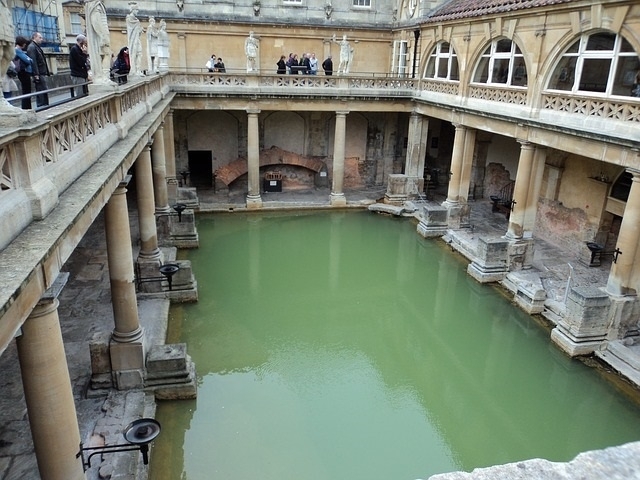 Discover Bath’s heritage at the world famous Roman Baths, bathe in Britain’s only natural thermal waters at Thermae Bath Spa or visit the 15th century Bath Abbey. From art and history, to fashion and Jane Austen, there really is something for everyone. Return to your accommodation in the Bath area. 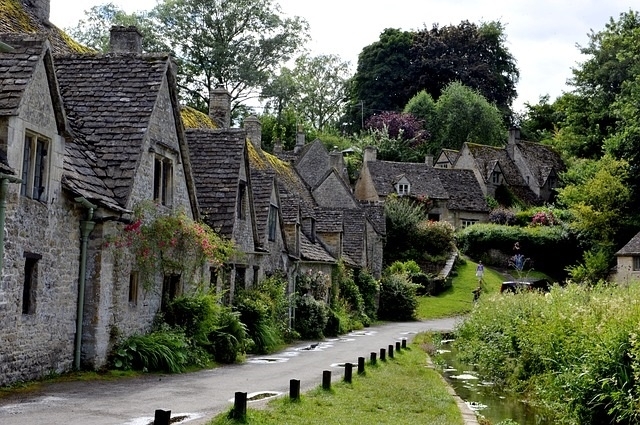 After breakfast enjoy the scenery as you travel through the charming and picturesque Cotswolds area to Stratfordupon-Avon. You will visit Shakespeare’s Birthplace, where the Bard was born on April 23, 1564 and died on the same date 52 years later, as well as the Shakespeare Centre, built to commemorate the 400th anniversary of the Bard’s birth. Make a visit to Holy Trinity Church, the parish church where Shakespeare is buried, located in an attractive setting near the River Avon. Visit Anne Hathaway’s House, made famous on chocolate boxes and tea towels, is arguably the most picturesque of the Birthplace Trust properties. The cottage nests in the idyllic setting of Shottery, which lies a mile west of Stratford. The cottage belonged to the prosperous Hathaway family and was the pre-marital home of William Shakespeare’s wife, Anne. Although referred to as a cottage, it is actually a substantial, twelve-roomed, Elizabethan farmhouse. Externally the building with its low thatched roof, timbered walls and lattice windows has changed very little since Anne Hathaway’s time. Parts of the building structure date back further than the 15th century, using some of the earliest English house-building techniques. The cottage was built on a slope, and parts of the building consequently sit at different levels. Overnight at your hotel in the Stratford area. 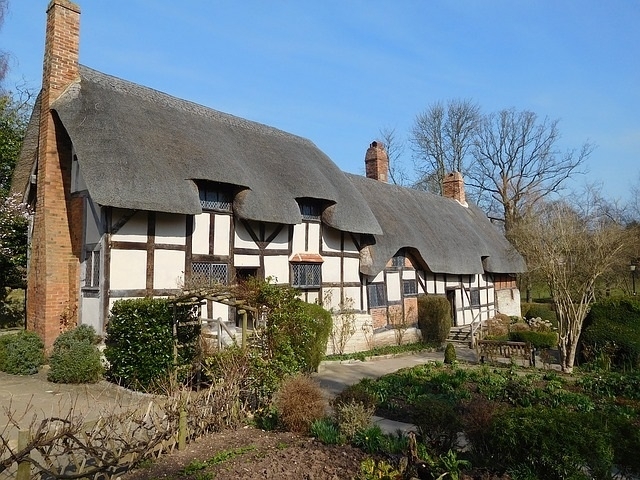 Continue your exploration of all things Shakespeare with a visit to Mary Arden’s Cottage. The farmhouse at Wilmcote, just three miles outside Stratford-Upon-Avon, was the home of William Shakespeare’s mother and is now a countryside museum devoted to showing country life from Tudor times to the present day. You can see rare breeds of sheep, cattle and poultry. There are also daily displays of Falconry, a sport much enjoyed in Tudor times. The barns and outbuildings, together with the adjoining Glebe farm, now house the Shakespeare Countryside Museum. This afternoon you may want to pay a visit to Warwick Castle, Britain’s Greatest Medieval Experience. The magnificent towers and ramparts offer spectacular views of the Castle grounds and the town of Warwick. The chilling dungeon and torture chamber contrast with the elegance of the state rooms and the baronial great hall. The town centre is easy walking distance from the Castle and is a delight to explore. Return to your accommodation in the Stratford area. Today you will visit the town of Shrewsbury on the border between England & Wales. 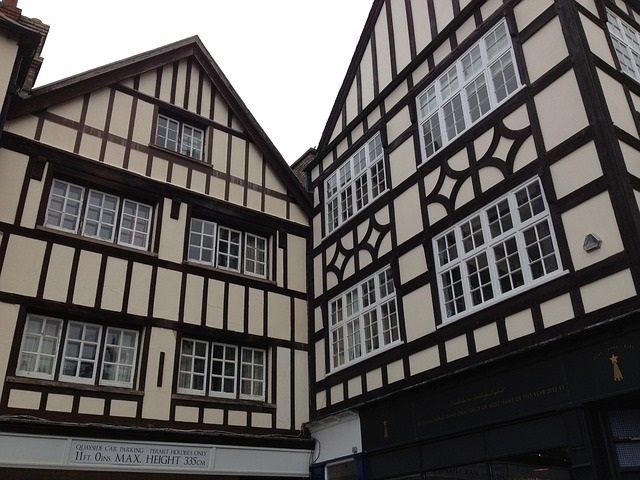 Shrewsbury has been called ‘England’s finest Tudor town’ with good reason, black and white properties are everywhere and over 660 listed buildings all linked by ancient shuts or passageways. Charles Darwin, perhaps the town’s greatest son, would still recognise much of modern Shrewsbury. His statue stands outside the library, erected in 1894 – even though at that time he was still considered a dangerous atheist. 2009 sees his bi-centenary and Shrewsbury will be holding a range of events and activities that form part of the annual Darwin Festival. Shrewsbury is also known as the ‘Town of Flowers’, having won floral awards and accolades such as a gold medal in the National Britain in Bloom competition, gold in the European Entente Florale competition and winner of the International Communities in Bloom. The towns beautiful Quarry Park provides the setting for the annual Shrewsbury Flower Show during the summer. Continue to the Caernarfon/Llangollen area for overnight. 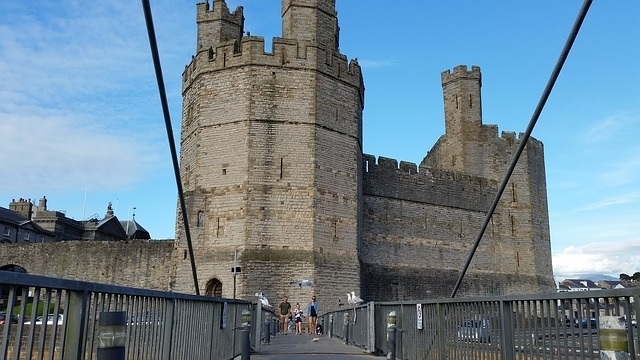 Start today with a visit to Caernarfon Castle. Mighty Caernarfon is possibly the most striking medieval monument in Wales. Begun in 1283 by Edward I, Caernarfon was constructed as military stronghold and also as a seat of government and royal palace. Its unique towers, intimidating battlements and colour-banded walls were designed to echo Constantinople, the imperial power of Rome. The castle’s symbolic status was emphasised when Edward made sure that his son, the first English Prince of Wales, was born there in 1284. In 1969, the castle gained worldwide fame as the setting for the investiture of HRH Prince Charles as Prince of Wales. This afternoon is spent exploring the Snowdonia National Park. 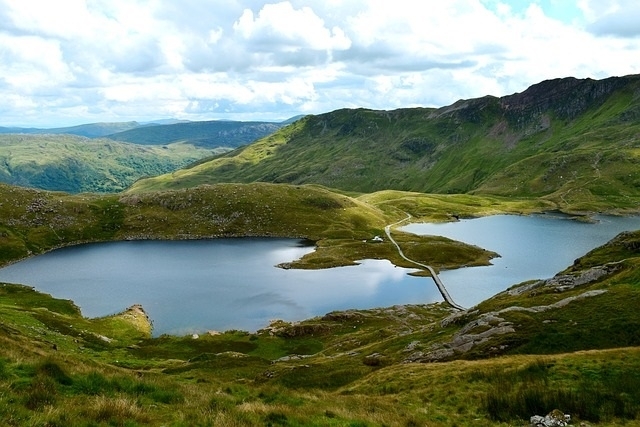 The park, which has the evocative Welsh name ‘Eryri’ meaning ‘the place of the eagles’, is an area of outstanding natural beauty covering 838 square miles and contains some of the most spectacular scenery in the country. Return to your accommodation in Caernarfon/Llangollen for overnight. After breakfast, depart for the town of Chester. Encircled by a two-mile ring of Roman and medieval walls, Chester is a rare and truly magical blend of the ancient and traditional with modern cosmopolitan chic. Step back in time amid pristine Georgian and Victorian architecture, shop in the unique medieval two-tier galleries called the Rows and enjoy the city’s classy café culture. Continue through the Peak District. In the northern area you can roam on wild open moorland with magnificent views overlooking sites such as the Derwent Dams. Further south, stroll alongside sparkling rivers in wildlife-rich valleys far from the hustle and bustle of town. Visit grand houses such as Chatsworth with its farmyard and adventure playground, or the caverns at Castleton featuring unique Blue John stone, stalactites and stalagmites and even a boat ride underground. There are also stone circles, castles, museums and working mills to explore. Travel on to Nottingham area for overnight. Today discover the legend of Robin Hood. Visit the home of the Sheriff of Nottingham at Nottingham Castle. Wander through the museum and art gallery, and take a souvenir photo at the statue. Have lunch at Ye Olde Trip to Jerusalem, said to be the oldest inn in England. Spend the afternoon at the Tales of Robin Hood, the city centre attraction which brings the legend to life. Travel on to the Cambridge area where you will overnight. Today is spent exploring the University City of Cambridge, the city has unrivalled reputation for being a centre of excellence in learning. Now its famous Colleges are home to over 17,000 students – Kings College Chapel is a familiar image all over the world. 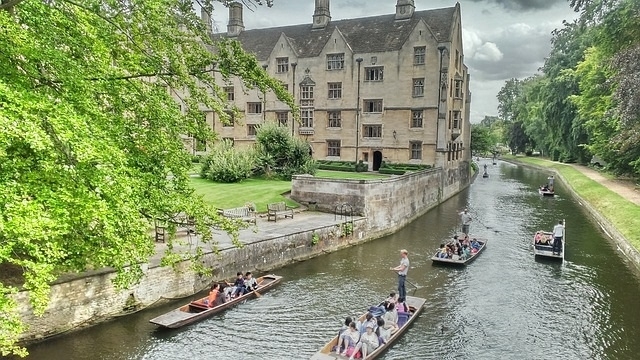 Cambridge’s heritage also includes an outstanding record of scientific and artistic achievements – Newton, Darwin, Wordsworth, Milton, Ian McKellan, John Cleese, Emma Thompson and Zadie Smith were all educated here. Cambridge is rich in museums, ancient churches and historical tradition. Visit the Fitzwilliam Museum, with its outstanding picture collection, or the Round Church, one of only 4 round churches in Britain. The University College Gardens are one of the great secret delights of the city – Clare’s, Emmanuel’s and Newnham’s are particularly spectacular. Return to your hotel in the Cambridge area. Check out of your accommodation after breakfast this morning and drive back to London to drop off your vehicle. You may choose to extend your stay in London or fly on to your next destination or return home. Whatever you decide, we hope your tour of historical England and Wales was one to remember and that you take home many great memories. Driver’s information: minimum age to rent a vehicle is 25. No maximum age. Drivers aged 25-29 are not allowed to rent certain full-size, 4X4, vans and premium vehicles. Drivers age 30 and up can rent any vehicle type. All driver’s must have a full, valid license from their home country. An international driver’s license is required if their license is not written in English. A valid passport and credit card in the driver’s name are also required at the time of rental. Central London Congestion Fee: Should you drive in London city centre you are required to pay a GBP10/day congestion fee to the City of London. The fee can be pre-paid online at www.cclondon.com, by phone at 0845 900 1234, at selfservice ticket machines, select gas stations, select retail outlets and BT internet kiosks. The fee increases to GBP12/day if not paid in advance or if paid on the day of use. Non-payment will result in a fine of GBP100 plus a GBP25 administration fee levied by the car rental firm to handle the paperwork required.